St. John Missionary Baptist Church thrives on its congregation's involvement in music. Below are just some examples of how the church uses a variety of musical talents and song choices to enhance the religious experience at its worship services. Deacons and deaconesses sing at the beginning of worship service at St. John Missionary Baptist Church on Sunday, November 13, 2016. Cathedral choir members sing during worship service at St. John Missionary Baptist Church on Sunday, November 13, 2016. Men's chorus members sing during worship service at St. John Missionary Baptist Church on Sunday, November 20, 2016. Deacon and men's chorus member Joseph Anthony sings a solo during worship service at St. John Missionary Baptist Church on Sunday, November 20, 2016. One of the most common ways for people to practice religion in church is by singing and listening to music. For members of the St. John Missionary Baptist Church in South Los Angeles, the sound of music is more than just a worshipping tool; it’s a way of life. From the beginning of Sunday worship service, music plays a dominant role in how church leaders attempt to relay messages about God to their congregation members. Virginia Stephens, who has been a member of the church for more than 50 years, said she enjoys how the church begins its weekly worship services with music. One major way the church incorporates music during worship services is choir performances. Longtime church member Rietta Johnson, who also helps coordinate Christmas fellowship, said the church has changed by virtue of the choirs. There used to be many choirs in the church, but they’ve been combined to where now there are about four choirs. The church’s strong focus on music allows the chance for people to hear songs that sound like their favorite types of music and have messages that matter most to them. Yvette Jackson, a self-described connoisseur of music and president of the missionary society at the church, said the music she prefers is gospel. Stephens said that while she likes a variety of church music, her main interest is in praise and worship songs. She felt her religious experience becomes enhanced when she sings songs with other choir members. Arthur Burks, an associate minister at the church, said he takes a liking toward old hymnal music, specifically ‘Amazing Grace.’ Burks mentioned these songs have stood the test of time. Burks believed that there are many contemporary songs today that do much better at reaching younger people than the hymns, and there is a major difference between the two eras that could explain why. With a wide variety of musical tastes, members of the church are inspired by certain songs for different reasons. Jimmie Hunter, the director of Sunday school at the church, said worship and praising Jesus are the roles of music in the church. For Jackson, her favorite church musical piece focuses on a different aspect of the Christian belief. Church members not only use the inspirations gained and messages learned through music during worship service for themselves, but they use the music to help spread God’s Word into the lives of others outside the church. Using music as an avenue to bring the community together is one thing, but Burks sees music as something more: an excellent recruiting tool to bring new members into the congregation. Regardless of how music is used or what attracts people to it, members of St. John Missionary Baptist Church seem to agree that music is one of the strong points of the church and a key aspect of their religion. Music fills the sanctuary every Sunday with a purpose to strengthen people’s religious ties to God and its impact is unprecedented. Just ask Johnson. Everyone experiences religious music and its significance differently. We would like to know your church music preferences and how the genre affects you! What is your favorite genre of church music? When is your favorite time during church service to hear religious music? How much of an impact does religious music have on your everyday life? On average, how often do you listen to religious music of any genre? In what way have you experienced music in church the most? What December holiday do you know the most about in terms of music? 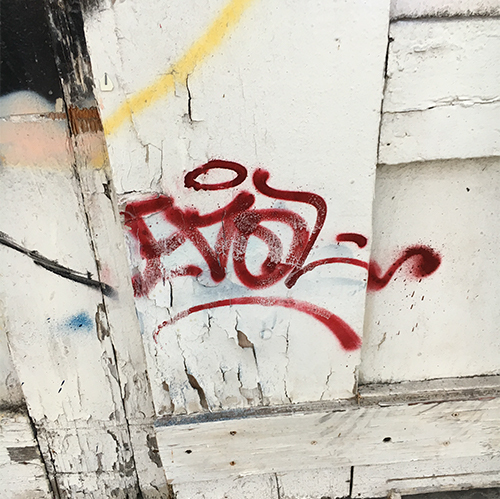 Samir Arghandwall, or Evol, is an artist in Los Angeles. A small community in Vermont Harbor tells what it's like to have him and his murals bless their alleys. 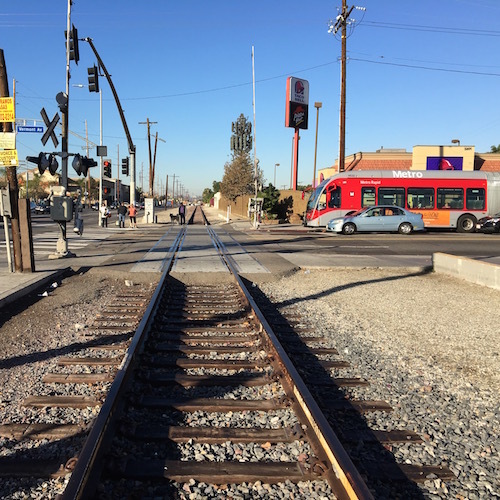 The Rail 2 River Bike Path is planned to run from Vernon to Hyde Park along an abandoned railroad on Slauson Avenue. However, some community activisits would rather see rail return to the transit dependent neighborhoods it serves. Police in Vermont Square say they are trying hard to foster a relationship with the community. 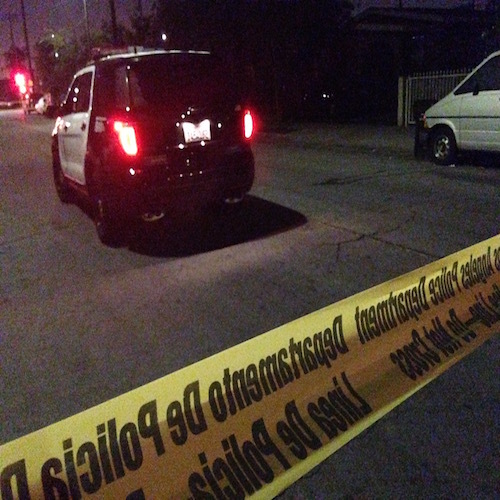 Read here to learn about recent crimes in the neighborhood, and how police plan to reduce crime.